Coupon Champion is a free browser add-on which is promoted at coupon-chambion.com and by various installers, including software installers available at malavida.com. The application is categorized as adware because of numerous advertisements that are displayed while the user is browsing commercial and non-commercial websites. 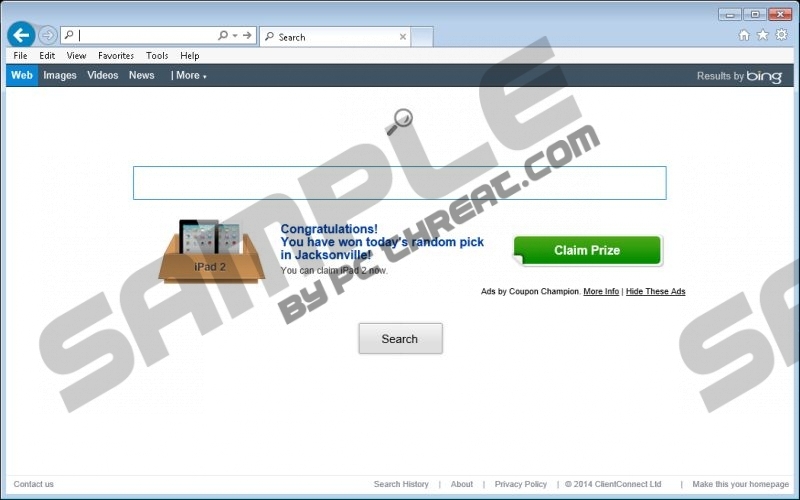 Coupon Champion advertisements may also be displayed when Internet browsers are modified by browser hijacker and browser toolbars, including browser extensions based on Conduit. Coupon Champion advertisements are usually labeled “Ads by Coupon Champion”, and their content may have nothing in common with your browsing history. Besides coupons and web banners, Coupon Champion modifies the Google search results page. The application appends its “Enhanced Results” box, which contains links to some questionable websites that have nothing in common with the actual search term. The Enhanced Results box may invite you to take part in a quiz, which might turn out to be a scam website. The same Enhanced Results box also contains a set of links to YouTube, Wikipedia and some other popular websites. In order to get rid of search suggestions and irrelevant advertisements, you should remove Coupon Champion from the PC. When it comes to adware removal, you have two options. You can try uninstalling the application. After uninstalling the program, you should scan the PC to make sure that the adware is fully removed and that no unreliable browser cookies are monitoring you. If you want to save your time and also have the system shield from spyware and malware, implement SpyHunter. This real-time spyware and malware removal tool can remove Coupon Champion for you in not time and safeguard the operating system against various threats. After uninstalling the adware program, scan the computer to make sure that no files of the application are present within the system. Quick & tested solution for Coupon Champion removal.